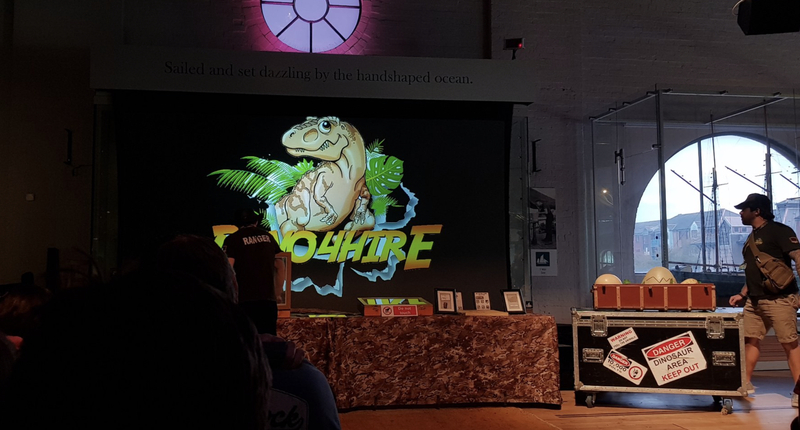 I�m a Reception class teacher and we arranged a visit from Dino4Hire last week. Ranger Chris and Ranger David were absolutely FANTASTIC with the children! The baby dinosaurs were brilliant and suitable for the little ones...although truthfully, they would have loved the bigger dinosaurs too!I saw more of a spark in some of the children�s faces seeing and touching the dinosaurs than I have since September!Would HIGHLY recommend, and we�ll most definitely be booking again next year.Thank you for an amazing experience. Both children AND staff loved every minute! 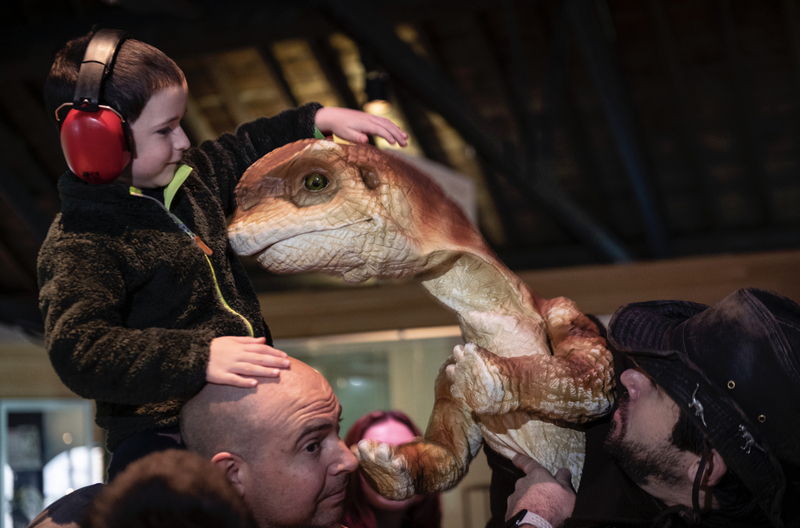 So you want us to perform one of more of our workshops to a large crowd maybe at a museum or a special dinosaur event. Thats not a problem why not hire Ranger Chris and his amazing dinosaur workshop. He has performed to thousands over the past 3 years and taught at many, schools, fetes, museums and events. 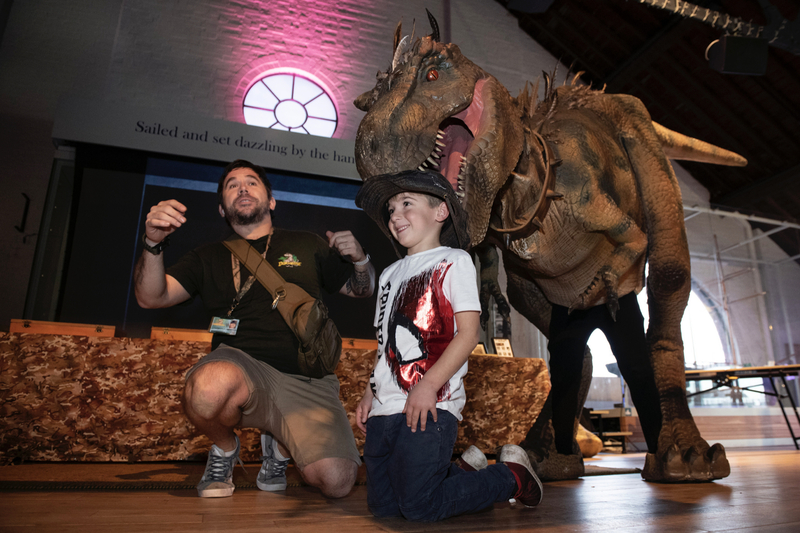 This amazing pack will include 2 workshops through the day or you can choose 1 workshop and also a walk around dinosaur for meet and greets. We play guess the dinosaur games. Lets hatch an egg and meet a realistic baby dinosaur. Meet the baby dinosaurs Trixie and Bradley. 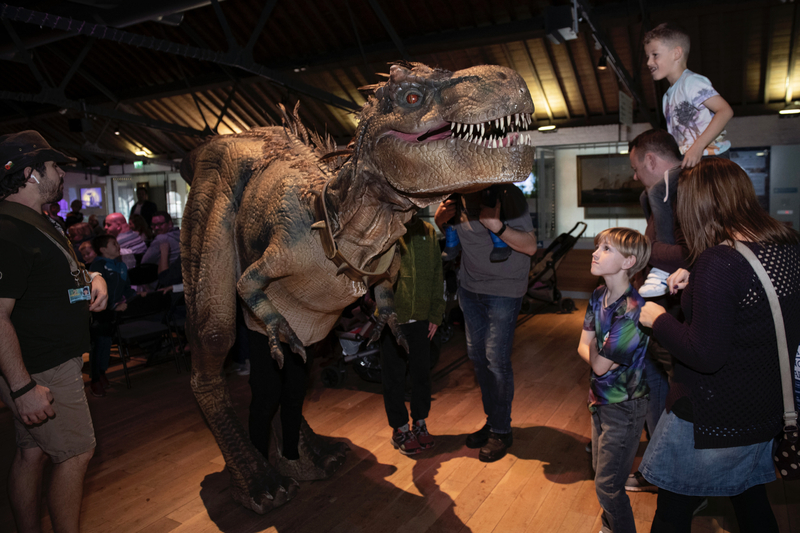 Meet Ronnie the T-Rex, Spike the spinosaurus or Rita the Utahraptorand have some amazing fun with him. Ideally we will require a large indoor space with power sources and seating. 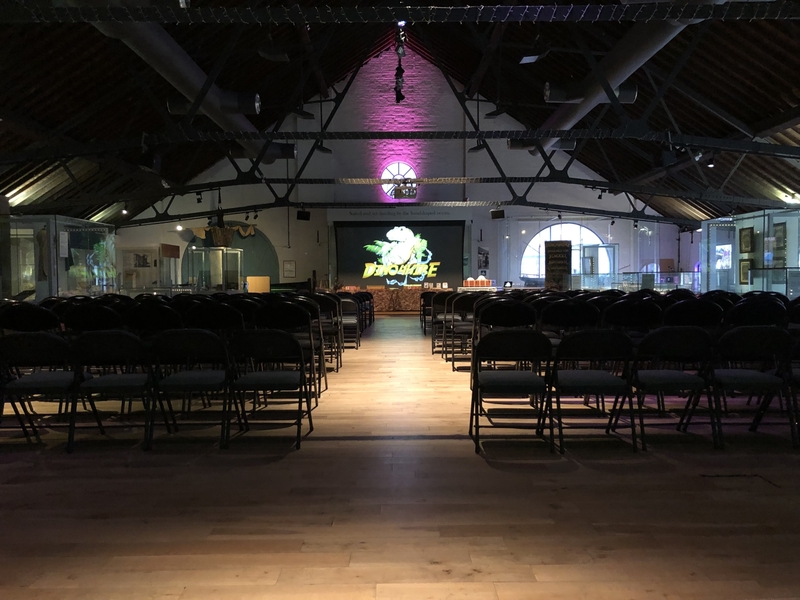 We do have our own projector and PA systems.